What Are The Best Ways To Clean Dentures? Tooth loss is an unavoidable part of life. Despite our best efforts to maintain a robust oral hygiene routine in a bid to keep our natural teeth as long as possible, almost all of us will lose at least one permanent tooth in our lifetime. Statistics shared by the American College of Prosthodontists found that 36 million Americans do not have any teeth and around 120 million are missing at least one tooth. Experts agree that this number is almost certainly going to increase in the coming years. For many people, tooth loss is surprisingly detrimental. The impact on your ability to bite and chew may be fairly obvious, but missing teeth can also affect the way in which you make sounds, meaning that your speech may be compromised. You may have to find new ways of making the sounds needed to pronounce words. The psychological effect of tooth loss should also not be underestimated. Patients who are missing teeth often cite that they feel embarrassed about their smile, and their confidence and self-esteem suffers. Dentures are prosthetic devices that are designed specifically to replace missing teeth. 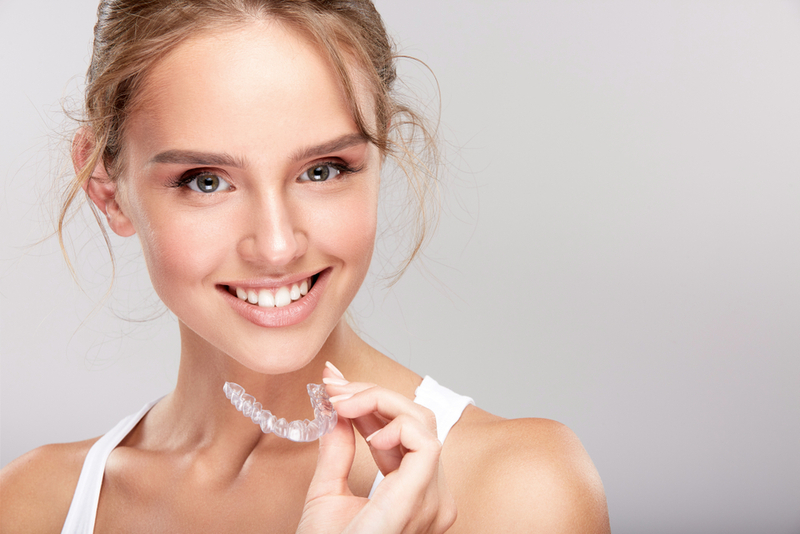 They are sometimes referred to as ‘false teeth’ and replace either the entire upper or lower arch of your smile. Dentures have been around a lot longer than you expect, with earliest recorded use of them being in Mexico in 2500BC, when they were made from animal teeth. Fortunately, they have evolved significantly since then! Modern dentures are comfortable, secure prosthetics that look natural and restore both the function and appearance of your teeth. However, to keep your dentures looking and feeling as good as they day you receive them, it is essential for you to clean them properly. Just because your dentures aren’t real teeth, they still need to be cleaned every day if they are to stay in tip top condition. The biggest issue facing denture-wearers is that food can get caught between the prosthetic teeth. Not only does this look unsightly, it can also cause bacteria to grow on them, and these bacteria can eventually spread to other parts of your mouth, including your gums. If this happens it is known as stomatitis, and you can expect to experience unpleasant symptoms including sores/blisters, red swollen gums and a foul taste in your mouth. First and foremost, it is essential that you take care when removing and handling your dentures. They are easily dropped during the cleaning process, and as they are fragile, this can cause them to become damaged or broken. We recommend that you fill the sink with water so that if you drop them, they will have a safe landing! It is also important to make sure you choose a specialist denture toothpaste. Normal toothpaste can scratch or stain dentures which will ruin their appearance. For this reason, you should also avoid using a toothbrush with abrasive bristles. How Often Do I Need To Clean My Dentures? To keep your dentures in the absolute best condition, we recommend that you brush them at least once a day, brushing them thoroughly and methodically one tooth at a time, just as you would your natural teeth. Once you have brushed them, you will need to soak them in a special cleansing solution that you can purchase from our dentist’s office or your local drug store. When you aren’t wearing your dentures, we strongly recommend that you store them in a pot of warm denture solution. This will stop them from drying out and becoming damaged. If you would like more advice on the best ways to clean your dentures, our knowledgeable dental team would be pleased to assist. Feel free to pop into our offices or contact us to arrange an appointment.